From a young age, I was taught the importance of living with passion. Why settle for a life less than one you enjoy? This encouragement has compelled me to follow my heart—and most importantly, seek God’s will—for every step along my journey thus far. However, even though it sounds all romantic to lead a life you’re in love with, let’s face it: We aren’t always going to be in love with our life. Jesus died so we could experience abundant life, yes. But that doesn’t mean we won’t experience seasons of suffering. It doesn’t mean we’ll experience happiness on earth 24/7. Because what if we can’t work at the job we particularly enjoy in this season of our lives? What if we don’t have the funds necessary to travel the world? What if we’re simply not interested in taking daring risks, such as skydiving? What if we’d rather spend the weekend working on a hobby rather than at a concert with friends? Does this mean we’re not living our life to the fullest? Not at all. I believe the meaning of this phrase can vary from person to person. Personally, my definition of this isn’t necessarily the one our society loves to instill within us. It isn’t equivalent to living each day in complete earthly happiness. Because abundant life can never be found in this world alone; it stems from our relationship with Jesus Christ. According to John 11:25, Jesus is the “resurrection and the life”. Our Life resides within us. He alone is the One who can bring meaning, joy, and light even into the dullest and grayest of days. No, this doesn’t mean we should settle for a life we don’t enjoy. I do think it delights our Father when we lead a life we’re passionate about—especially when we’re seeking His will for our lives. He died so we may experience life to the fullest (see John 10:10), so of course He wants us to enjoy our lives! So how can we truly know if we’re living our life to the fullest? 1- Am I growing each day in my relationship with Christ? Do I look to Him for my source of peace, joy, hope, and love—or am I seeking the world to provide this for me instead? 2 - Is my mood constantly attached to my day-to-day life circumstances, or is it a reflection of the abiding life that resides within? 4 - Am I surrendered in obedience to His Word and seeking His will for every decision? I love what Jesus says in Matthew 16:25-26: “If you try to hang on to your life, you will lose it. But if you give up your life for my sake, you will save it.” This means that, in order to truly have life, we are to abandon our will for the sake of following Him. We are to let go of our earthly attachments for the sake of attaining true, eternal treasures instead. Of course, I am always going to strive to make the most of my days on earth. I’m always going to want to make special memories, do things that make me happy, and lead a life of passion. But ultimately, if I do those things and yet I am still living in sin (death), then I won’t have true life abiding on the inside. My life is meaningless without Him. The only way I can ultimately “live life to the fullest” is by growing in my relationship with Christ every single day and living in obedience to His will. Besides, He died for me--not just so I could receive eternal life after I die, but so I could receive eternal life here and now. He paid a tremendous price, so I could enjoy this life-giving relationship. And trust me: This relationship brings an entirely new meaning to the term “life”. Nothing on this earth can come close to providing this kind of joy--no, not even skydiving! Tessa’s latest book Coffee Shop Devos releases later this year. Each of the 180 challenging and motivational devotions will leave you feeling refreshed and reinvigorated--almost as though you've shared a steaming pot of brew at a coffee shop with your Creator. 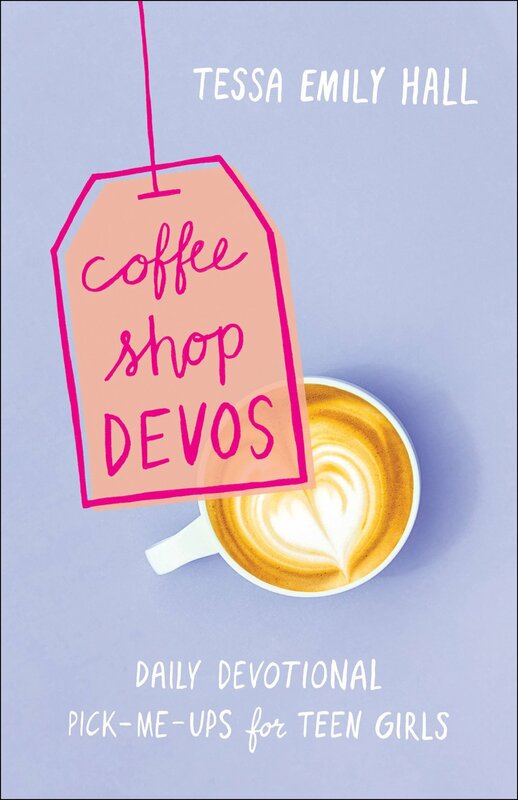 Pre-order Coffee Shop Devos on Amazon! Mark “to read” on Goodreads! Tessa Emily Hall is an award-winning author who writes inspirational yet authentic books to show teens they’re not alone. Her first teen devotional, COFFEE SHOP DEVOS, will release with Bethany House September 2018. 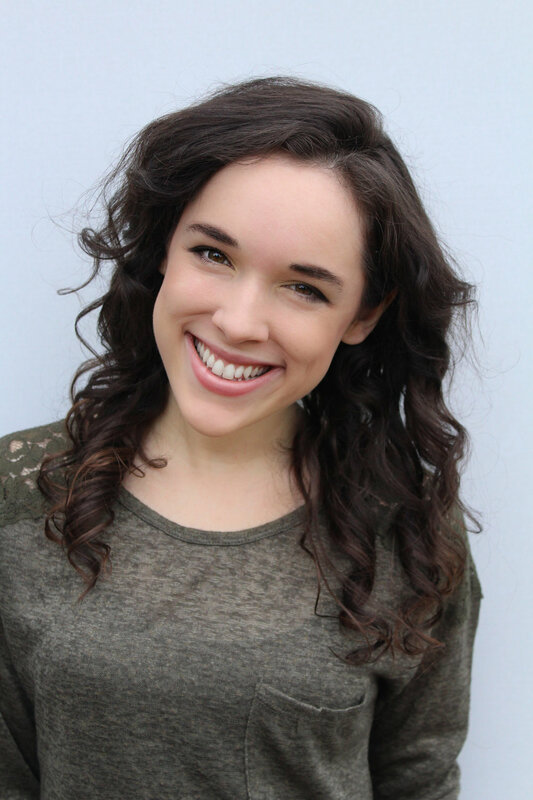 Tessa's passion for shedding light on clean entertainment and media for teens led her to a career as an Associate Agent for Cyle Young at Hartline Literary Agency, YA Acquisitions Editor for Illuminate YA (LPC Imprint), and Founder/Editor of PURSUE Magazine. She's guilty of making way too many lattes and never finishing her to-read list. When her fingers aren’t flying 116 WPM across the keyboard, she can be found speaking to teens, decorating art journals, and acting in Christian films. Her favorite way to procrastinate is by connecting with readers on her blog, mailing list, social media (@tessaemilyhall), and website: www.tessaemilyhall.com. Learn more about Tessa by visiting her website, following her on social media (Twitter, Instagram, Facebook) and subscribing to her mailing list.